When adults think of going back to school to continue their education, it scares a lot to get into the hectic routines. 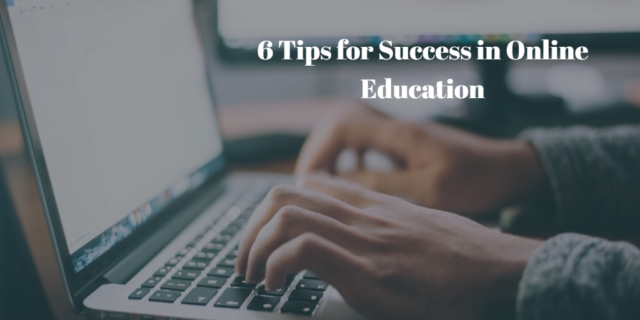 But it is possible – and here we have come with tips to achieve success in online education. Attending classes in an online college helps the student with the time crunch. When they don’t have to commute to a college, it saves their several hours per week. And those stolen hours could be used for study at home. Whether online or traditional way, managing your time tightly is the key to learning. Believe it or not, TV is the most common culprit of free time. Most of the people spend almost 10 hours in watching TV per week. By saying this, we don’t mean that you’d never watch TV but give up on TV shows that don’t really interest you. Free up your time and record the programs that you love watching to be entertained later. When you reduce your TV time per week, it will result in free time for you to devote to online education. Ten hours per week would be fair enough to fulfill that long-delayed dream of earning a college degree. If you are able to take more than one course at a time without getting insane, then it is advisable to enroll in a part-time course. Decide hours that you’ll be required for each course on your list. For instance, if you are taking five hours for a course per week, you will require up to seven hours of the courses where you may need tutoring. So, if you are planning to get enrolled in two courses, be prepared to put at least 10 to 14 hours aside as study time per week. Although this tip sounds silly, it works quite well. Because earning an online degree is not very easy and it encounters many obstacles, you must put your dreams and goals on paper. While returning to college, we encourage you to write down all the reasons on a paper and put them somewhere it may come to sight often, like a bathroom mirror or a refrigerator. In online education, many students fail to remain consistent. The most common reason include it requires hard work; takes time and discipline. A hack to guard against dropping out prematurely is, look around and find a place in your house that you can claim as your study spot. It could be a quiet garage, laundry room, or basement. Also, make sure that no one would disturb you at that sacred spot. Even if you won’t be able to follow all the tips, it is a kind of tip that may increase odds for you to stay in the school. Once you register in an online course, it is essential to make a study schedule of about three to five hours per week. Decide two days on which you’ll be spending two hours more than regular study time. On the first study day of each week, make a routine to read any required material and take notes of them. Further, read those reading notes and work on assignments through it. Now that you have identified your regular study times, make sure no one disturbs you and respects that time. Also, you must never a skip a study time. When you sit down at your station and follow the study schedule regularly, it helps in preventing procrastination. Everyone don’t handle going back to school in the same way. While some are excited and tell the world about their enrollment in an online course, others are embarrassed by they don’t hold a formal degree. Such individuals keep quiet and don’t want others to know about the fact that they have not earned a degree yet. Doing so will make it difficult for them to gather support at work. Besides, many employers subsidize a part of their employer’s tuition and training bills. If your company offers some tuition assistance plans, ask them to cover your expenses of online education that may directly associate with your work. Georgina Hartwig is an Editorial Campaigns Assistant, does research and writes custom content. Her major concern is education and life experience degree programs particularly. She graduated with bachelor’s degree in English and Spanish from the University of Oregon. After graduation, she worked on Masters of Science in Publishing. Then, she moved to Madrid for one year and traveled a lot before moving to New York. Her favorite hobbies include reading interesting books, playing and watching sports, and wildlife. She gets involved in these activities during a city break.